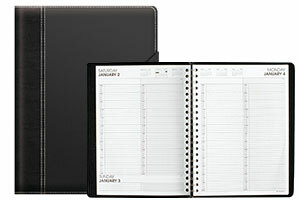 Get a new daily planner and never miss any appointments or overbook your clients. With a daily planner, you can stay ahead of your schedule and maximize your efficiency. With a monthly planner, you can stay on top of your schedule as you make the most of your time. From business meetings to vacations, your entire schedule is available at your fingertips. 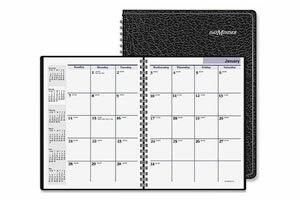 Here at OfficeRock.com we have a huge collection of monthly planner designs, wall calendars, and desk calendars. Our daily planner selection comes in stylish and compact designs, and provides convenient organization and scheduling at your fingertips. With the help of a planner, you can conveniently schedule your time for an hour, week, month, or year. Having a planner with data sheets ensures better results. To view multiple dates at a time, it's recommended to select a planner that has individual weekly or monthly pages. To stay ahead, you can schedule for the entire upcoming year. With these planners, you can record all the information you need to stay organized and confident. 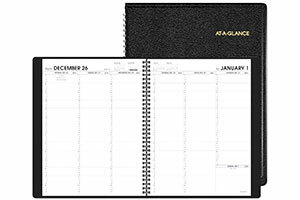 Order your daily planner today from OfficeRock.com.